Dream can come true at Camp Nou. That was once again made plain on Thursday, the day of the game between Barça and Valencia in the semi-finals of the Copa del Rey. FC Barcelona fan Lucía from the Andalusian city of Córdoba in the south of the country had travelled up from her home town with the aim of meeting her hero, Barça midfielder Sergio Busquets. TV cameras captured her excitement during the warm-up when she came within touching distance of her favourite player. Wearing a Sergio Busquets shirt, her tears of joy caught the eye of not just the TV crews but also Busquets himself and the coaching staff. Lucía, for her part, had prepared a personal card for her hero to read. 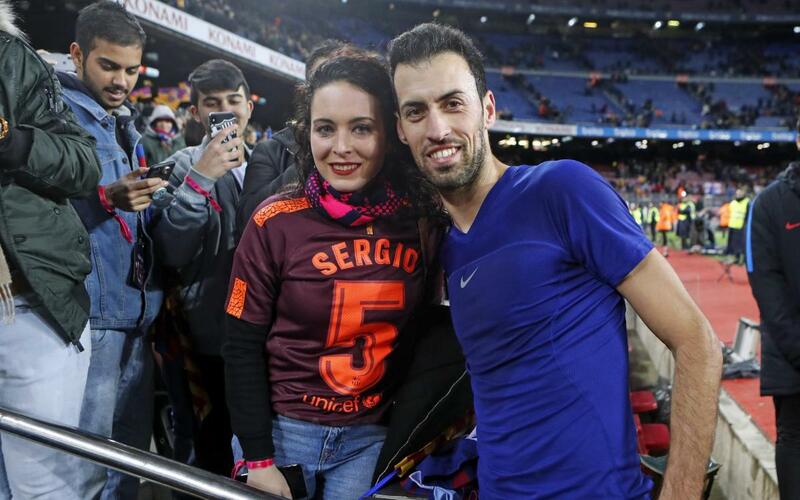 Just seconds after the final whistle in Barça’s 1-0 win over visitors Valencia, Sergio Busquets took the time to approach Lucía and gallantly presented her with the shirt he had worn during the match. After a brief chat and a photograph together, Lucía’s dream was no longer that, it was now reality and the effort of coming up from Córdoba and getting a seat close to the pitch had paid off: a visibly emotional Lucía had finally come face to face with her footballing idol. Another special evening to add to the list at Camp Nou.